It's time to visit campus! The best way to experience UNT is to take a student-guided tour. Transfer Tours, led by current transfer students, are offered Monday through Friday each week. These campus tours last about 90 minutes and focus on transfer student needs. Reservations are required because we keep our tour groups small to provide a more personalized visit. 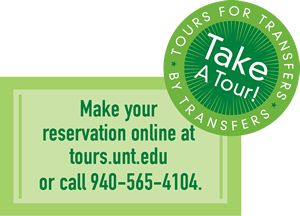 If you are a transfer student but the available Transfer Tour times don’t work for you, you can sign up for any of our regular tours offered throughout the week. We also host special events each month where you can learn about the admissions process, get your transcript unofficially evaluated and even get help completing your application and FAFSA form. Want to learn more about your transfer options as a prospective student? Transfer Debut gives you the opportunity to have your transcripts unofficially evaluated so you'll know what classes will transfer to UNT. You’ll also tour the campus, learn more about transfer admissions and even get help completing your application and FAFSA form aided by financial aid staff. 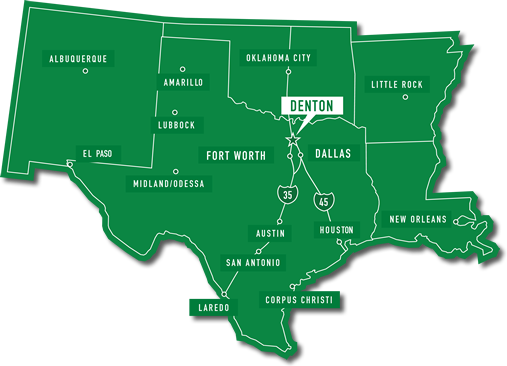 All new admitted transfer students are required to attend a one-day Transfer Orientation, which will include information sessions about housing, financial aid and veterans benefits, as well as registration, meetings with UNT colleges and schools and more.